The effective Service Life of hydraulic motors, pumps, valves and distribution devices can be doubled. 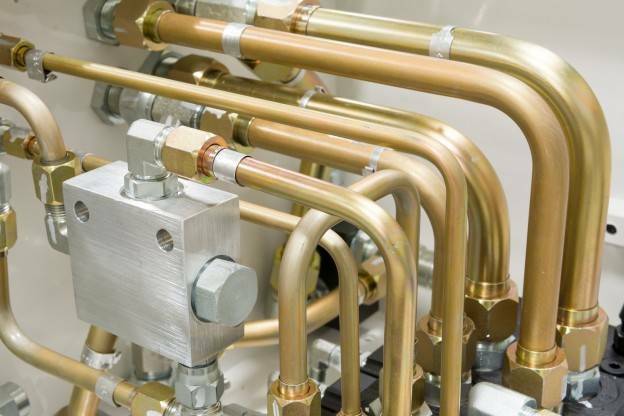 Hydraulic system warranties can be extended by as much as two years due to the reduction in the risk of hydraulic system component failure during the warranty period. Fluid purity however, must still be monitored and controlled and the hydraulic system must be cleaned annually. The cost of transportation of equipment to repair facilities is reduced or eliminated. Even if oil and hydraulic filters are changed completely, it still does not guarantee that the hydraulic system will be completely free of contaminants. Solid particulate matter, can and will, remain in valves, pumps, motors and on the internal surfaces of high pressure hoses. By introducing certain changes that greatly improve filtration system efficiency, equipment downtime can be significantly reduced because the fluid is purified and contaminates can be removed much more effectively than by a simple oil and filter change. Studies and practical experience indicate that over 70% of hydraulic system failures occur within the hydraulic drive. In turn, 50% of the hydraulic drive failures occur due to the presence of solid particles in the hydraulic fluid circulating in the system and the drive. The high percentage of drive failures is due to the fact that hydraulic drive components rapidly wear down when operating with contaminated liquid. This leads to a reduction of operating efficiency and an increase of internal energy loss. Operational costs also rise all due to a lack of timely preventive maintenance. If Serial Filters are used in the hydraulic system, the concentration of solids in the fluid will be approximately 0.022% by weight. This is 4.4 times above the acceptable standard. Particles from 10 to 40 micron in size can constitute up to 50% of the contaminants in the fluid. These sizes mostly coincide with the clearances between friction surfaces and are therefore, the most dangerous and cause the most wear. As with serial filters, Main Line Filters also cannot provide the required level of hydraulic fluid purification needed to prevent systems failures by themselves. The hydraulic drive therefore, must be rinsed by special means or processes. The importance of a thorough cleaning of the hydraulic drives is because of the high level of precision components found in hydraulic systems that are very sensitive to even small amounts of contamination. As the system becomes larger, the rate of contamination also becomes larger increasing the need for timely preventive maintenance. If the equipment is operated in dusty environments, particles of dust will settle on cylinder shafts and will enter the hydraulic drive. A large portion of contaminates and wear products enter the hydraulic tank through the drain lines and cylinder shafts thereby avoiding the filter system. A excellent way to improve and maintain the purity of hydraulic fluid is through periodic rinsing and removal of harmful particles. GlobeCore’s UVR Purification Units are specially designed systems aimed at purification of turbine oil, industrial oil, and transformer oil and have a reputation for versatility and reliability. They have the ability to purify oils and fluids back to their original new like condition and can even exceed well established quality standards. The UVR plants, due to their compact design and high level of mobility, can be used at your maintenance facility or offsite at remote locations. There are no restrictions that limit the use of the UVR systems anywhere there is a need for oil purification services. The compact design allows GlobeCore to ship the UVR units to anywhere in the world. While cleaning the system, it should be noted that special detergents can only be used in the beginning stages of the process since any detergent remaining is considered an unwanted contaminant. Prevention of hydraulic system failures is only possible if enough attention is paid to the most likely cause of the failures. It is generally accepted that contaminants are the leading cause of system failures. It is therefore, important to use effective methods of controlling and preventing contamination. Controlling contamination can help to ensure efficient operation of the system, extend the service life of components, and eliminate malfunctions before costly repairs or unplanned down time is required. A daily testing of the hydraulic system allows the operator to quickly localize leaks and other malfunctions before they impact operation. Periodic checks include checking the pressure in the system, visual inspections, and checking fluid level before, during and after the completion of the work cycle. Prevention of contamination is very important, but it is equally as important to understand the processes occurring inside the hydraulic system. Regular checking of hydraulic fluid is the best way of localizing part wear and contamination.